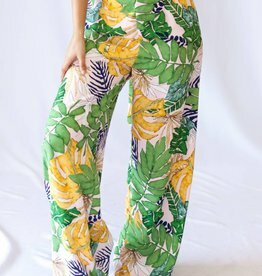 The wide legged pants are a must-have! 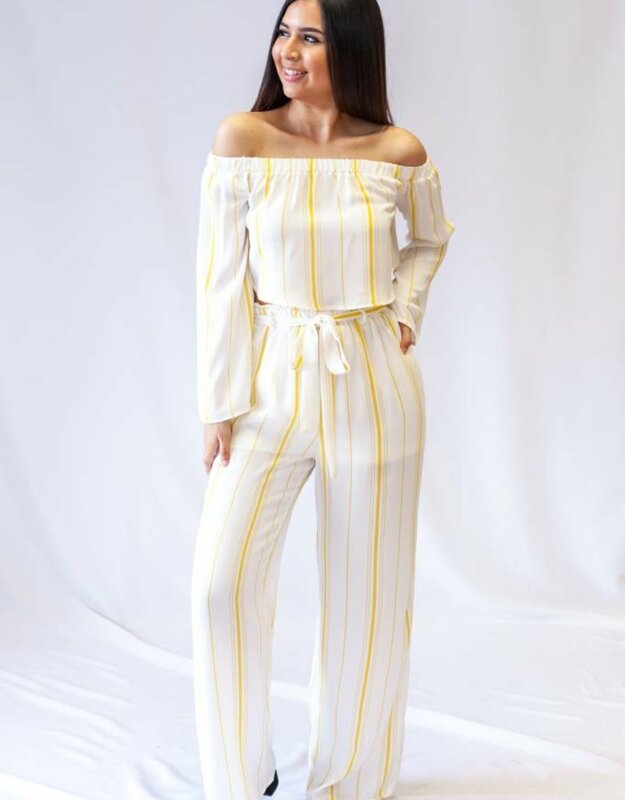 Our Monique pants feature yellow stripes, an elastic waist band, and a self tie bow at the waist! Pair these pants with our Stella crop top to complete the look.